Progress and challenges 20 years after Beijing. Interesting panel. One of the panelists reminded us that Canada has been found "in grave violation" under CEDAW for its treatment of Aboriginal women. A report out of Geneva on March 6th found that Canadian police and the justice system have failed to effectively protect Aboriginal women, to hold offenders to account, and to ensure that victims get redress. 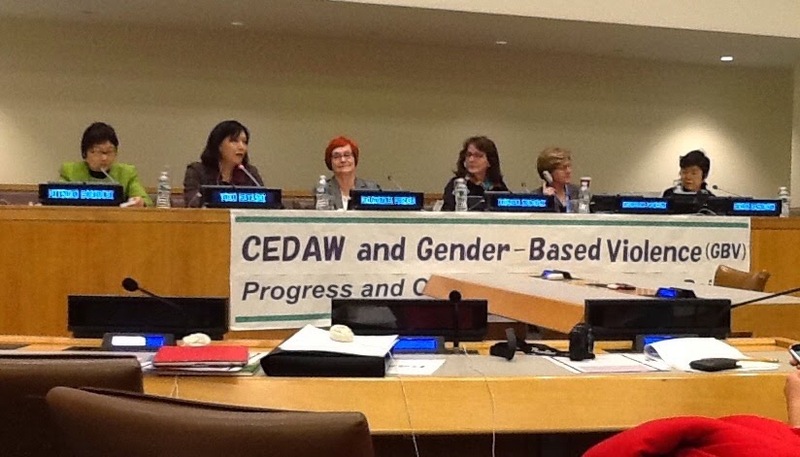 CEDAW made 38 recommendations to correct the situation; Canada has accepted 34.